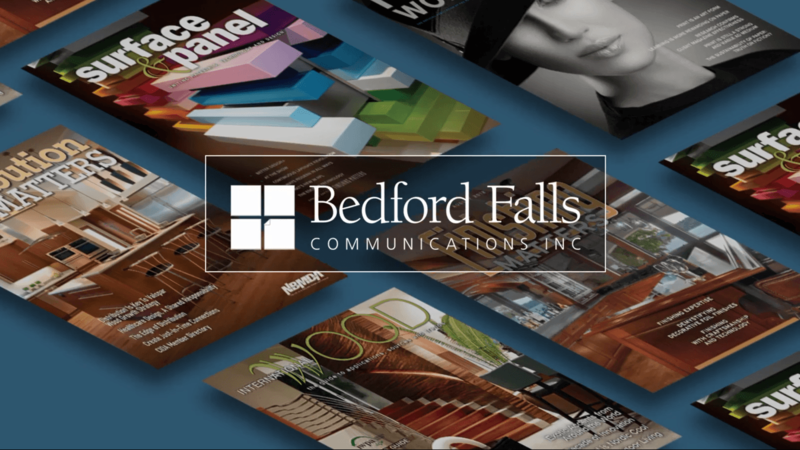 Bedford Falls Communications, Inc is a diversified publishing company focused on trade, association and custom magazines for corporate clients. Bedford Falls was founded by John Aufderhaar in 2003, built on the fanatical dedication to know and understand the industries and the customers we are privileged to serve while remaining passionately curious to lead us down new paths. The company has focused on the decorative surfaces, panel products and panel processing industries. In working with the leaders of these industries, opportunities have emerged to serve parallel trades including the paper and solid wood products industry. Additional larger projects, such as conferences and research labs, have materialized in an effort to stay on the leading edge of product design and innovation, while educating the specifiers of these industries: the architects, interior designers and fabricators. Our mission is to always exceed our customer's expectations in unique and surprising ways. For more information on how Bedford Falls Communications can assist your company, please call John Aufderhaar at 920-206-1766 (office), 920-285-2138 (cell) or john@bedfordfallsmedia.com. Print Works! is a perfect-bound magazine that features well-balanced content, vibrant imagery, and high-quality paper and ink finishes. Original and credible third-party editorial, the magazine effectively demonstrates the value and effectiveness of print. 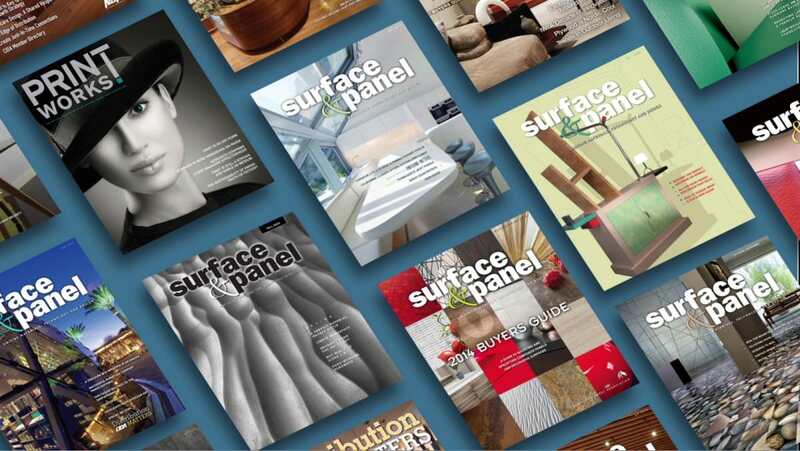 Finishing Matters is an annual insert in Surface & Panel Magazine which describes the finishing aspect of the building industry. Distribution Matters is an annual insert in Surface & Panel Magazine highlighting the role of distribution in the building industry. Each insert contains a distributor member profile as well as through leadership pieces from the North American Building Material Distribution Association (NBMDA) members. Also included is a full roster of NBMDA member companies representing the CIDA segment, which focuses on cabinetry and woodworking. International Wood is an award winning design and buyers guide published with the International Wood Products Association (IWPA). This annual publication highlights real-life applications of imported lumber, plywood, veneer, flooring and decking from the initial specification to the finished project. It is the world's most comprehensive and useful source for the selection, application and use of imported wood products from around the globe.